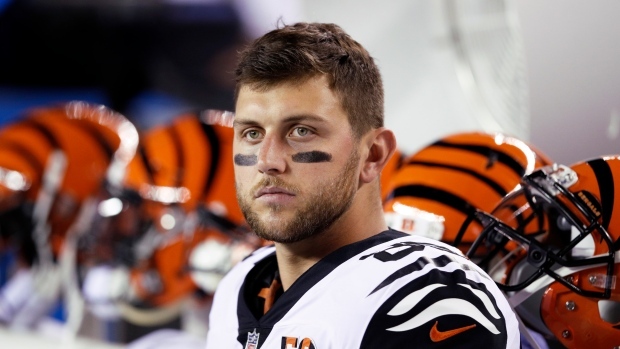 CINCINNATI — The Bengals signed tight end Tyler Eifert to another one-year contract on Monday, hoping he can make it through a season without significant injury. Eifert broke his right ankle in the fourth game last season, his third straight year with a major injury. He's been limited to 14 games over the last three years because of injuries to his back, ankle. His last full season was 2015, when he set a club record for tight ends with 13 touchdown passes. Eifert was a first-round pick in 2013. The Bengals also have re-signed tight end C.J. Uzomah to a three-year deal, but lost tight end Tyler Kroft to Buffalo in free agency.